Almodovar did a movie several years back called “The Skin I Live In” about a plastic surgeon who develops a new sort of replacement skin. It’s a typical crazy Almodovar movie, albeit with the hunky Antonio Banderas starring in it. The first thing we see when we look at our face is the skin. We are all so concerned about how it looks and are ready to spend substantial amounts of time and money to maintain its appearance. We don’t even think about wether the results will last long term or just a few days. Also, when we have any concerns about our face e.g. sun damage, we go to a dermatologist to tackle the issue. We don’t even think if the results will last long term or just a few days. However, when it comes to the body, we all are convinced, that for our gluts or the arms to look good, we need to work out …. resulting in a pair of jeans automatically looking gorgeous. 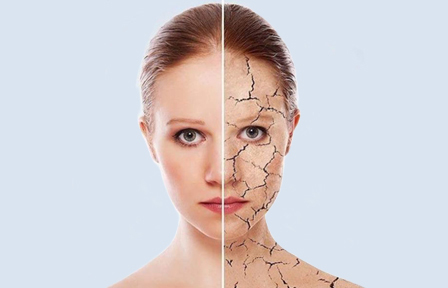 And then, when it comes to the skin in our body we do exactly the same as the face, we use either the dermatologist or the beautician’s advice and massages to get the best results possible. Why is the Face and associated Skin different to the rest of the Body? There is a common misconception that the face can’t be the focus of exercise and improvements are only possible via beauty treatments. This is incorrect. In my years of teaching Facial Fitness, I have seen incredible changes to the skin by following my facial fitness routines which combine exercises with Pilates principles and massage. (See before and after photos). If you follow the correct techniques I teach in the studio you will see the improvement in your facial musculature and it will translate to your skin. Two of the misguided concerns that many people have about Facial Exercises are that can damage my face more by doing the wrong exercises and if facial exercises increase wrinkles or not. The answer to both are a resounding no! Combining beauty treatments and exercises for our face and body, both can make us feel better and stronger. It boosts our self-confidence and many of us are keen to keep it up for as long as we see results. You still need to have the best advice from your dermatologist and beauticians ….. but first things first: Work out your facial and body muscles! “Every day you should wash your skin with a gentle dermatological soap morning and night, moisturise thoroughly, use sun-cream 50+ SPF in the morning and put on sun glasses to avoid frowning and unnecessary facial expression which eventually create wrinkles”. So, start exercising your facial muscles today!